I did have some trouble to use the morph creator in iClone together with Blender. So I thought posting the Blender import and export settings. So you don't need to lose too much hair on your head. 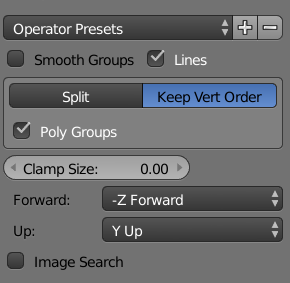 Most important is to make sure you disable Split and Smooth Groups and enable Keep Vertex Order and use Poly Groups on import. And make sure you Keep Vertex Order, Write Normals and use Polygroups on export.